Choosing adoption for your baby is a highly personal, difficult decision to make. There are many women in this same situation, trying to decide what is the best path for them and their unborn babies. If you’re considering giving a baby up for adoption in North Carolina, you’ve come to a good place on this web site. 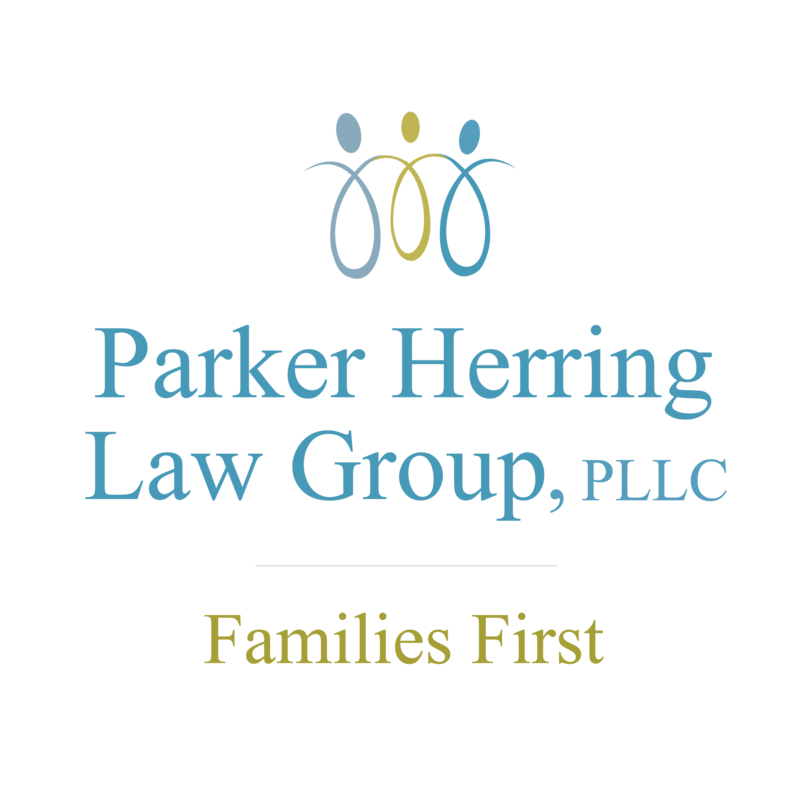 Here at the Parker Herring Law Group PLLC, we have helped many women like you choose the unplanned pregnancy option that is best for them. If that happens to be putting a baby up for adoption, we can provide the support and guidance that you need every step of the way. Our adoption attorneys understand that “giving your baby up” for adoption doesn’t mean “giving up”; it means giving your baby the best chance at a life with everything they deserve. Choosing to place a baby for adoption is one of the most selfless, beautiful things that a woman can do — and we will always support you as you take this incredible journey. However, we also know that putting an infant up for adoption in North Carolina is not right for everyone, which is why we strive to provide the information and education you need to make the best decision for you. Our adoption attorneys are always available to discuss the details of the adoption process if you are pregnant and looking into adoption, and you can contact them anytime at 919-821-1860 or online. As mentioned, accurate information is incredibly important in deciding whether placing a baby for adoption is the best choice for you. One of the first things to learn is exactly how to place a baby for adoption in North Carolina. Adoption is a process that involves many steps, each of which help a pregnant woman like you feel comfortable with and confident in her own adoption plan. Know that you should always be 100 percent in charge of your own adoption plan, and you should never be obligated to choose adoption until you are confident it’s the right choice for you. When you choose to put a baby up for adoption, you will receive guidance from an adoption professional every step of the way. In fact, our adoption attorneys Parker Herring and Angel Simpson believe that it is important for women placing a child for adoption to receive free counseling and support through this difficult moment in their life. Whether you choose to adopt through an adoption agency or have found a family on your own, it is crucial that you understand how the process works. While each adoption process will be unique based on a pregnant woman’s adoption goals and preferences, there are a few common steps involved in placing your newborn for adoption in North Carolina. 1. First: Decide if Adoption is Right for You. When women initially discover they are unexpectedly pregnant, they often have three choices: adoption, abortion or parenting. Which unplanned pregnancy option you choose is entirely up to you, and it is important that you do research and consider your personal situation before making your decision. It’s a good idea to sit down and make a list of the three options and write in points under each choice. This can help you objectify the process. Fortunately, the professionals at our law firm can make sure that you understand all of these options and give you information about them. Our attorneys have family law backgrounds and, as such, are familiar with family law, so we can discuss with you child support, custody and other issues if you decide to parent. One of our adoption attorneys is an adoptive mother herself and directs the adoption agency A Child’s Hope. She also works as an attorney doing independent or “private” adoptions. Our attorneys have worked with over 500 birthmothers in adoptions. Our professionals will explain all the information you need to know about your unplanned pregnancy options completely for free, and you will never be obligated to choose adoption unless you are certain it is right for you. Whichever choice you make, our professionals can help connect you to any resources you may need. 2. Create Your Adoption Plan. If you decide that you wish to place your newborn for adoption in North Carolina, you will work with your adoption professional to create a personalized adoption plan. You will be completely in charge of this plan, which details every aspect of your upcoming adoption journey. Your adoption professional will walk you through every aspect of this plan to ensure you understand what is involved in placing a baby for adoption and you are comfortable with every decision that you make. 3. Choose an Adoptive Family. In agency adoptions, the agency counselor will show you profiles of families that meet your preferences. In independent adoptions where you have found a family on your own, one of our attorneys can obtain any information you want about the adoptive parent. You will be able to ask any questions you have to your adoption professional, and you will also have the chance to speak in person with adoptive families that you are interested in. This conversation can be mediated by an adoption counselor, and you can use this opportunity to get to know the adoptive parents a little better. A phone call or in-person meeting often helps pregnant women considering adoption confirm that a family is the right one for their baby. The match meeting is a wonderful way to give you, as a prospective birth mother, reassurance that the family that will be raising your child is a good choice. 4. Get to Know the Adoptive Family. Once you select an adoptive family for your baby, you have the opportunity for pre-placement contact with them during your pregnancy. You and your adoption professional will have determined your open adoption preferences early on, and what your pre-placement contact will look like will be completely up to you. You can choose to communicate with an adoptive family directly through email, texts, phone calls and even in-person visits. This pre-placement contact is a wonderful opportunity to not only get to know better the family that your child will grow up with but also to create a strong and genuine relationship with them. Adoption is a partnership, and your partnership with the adoptive family can grow greatly during your pregnancy. You should use this time to make sure that you feel that they are the right choice for your child. 5. Prepare for Your Hospital Stay. How much time do you want spend with your baby after birth? Who will hold the baby first? Will the baby sleep with you or with the adoptive parents? Do you wish to leave the hospital with the adoptive parents or separate from the adoptive parents? After you give birth, you will have the opportunity to sign your adoption consent with the assistance of an experienced adoption attorney. You never have to sign your adoption consent until you are absolutely sure it is the right choice for you, and your attorney will explain your rights throughout this legal process. In North Carolina, a prospective birth mother can sign an adoption consent any time after delivery, and the adoption professional working with you will ask you if you are ready. After you place your baby for adoption with the adoptive family, you will likely feel emotions of grief and loss, which are completely normal — but you should have a counselor to discuss these with you. The adoption professionals at Parker Herring Law Group PLLC believe that anticipatory grief counseling is essential to preparing you to place for adoption and follow through with your adoption plan. Experienced adoption counselors can help you prepare for the grief and help you develop ways to deal with it. Any post-placement, open adoption contact you have with the adoptive family, can also be very beneficial in coping with these emotions and in helping you remember why you chose adoption in the first place. You will have chosen your preferences for open adoption before choosing an adoptive family, but this post-placement contact can include anything from pictures and letters to emails and texts to in-person visits. Your relationship with your baby’s adoptive parents will inform what this post-placement contact will look like. Remember, each prospective birth mother’s adoption will be slightly different, and you will always have the right to create a plan for giving your baby up for adoption that meets your needs and preferences — and the adoption professionals at the Parker Herring Law Group PLLC will be there to help. If you are thinking, “I am pregnant and want to give my newborn up for adoption,” please contact our adoption professionals today. We can answer any questions you have about placing a baby for adoption in North Carolina and provide any references to additional counseling or support systems you may need, always for free. We understand how monumental a decision like putting a newborn up for adoption is, and we will always provide the help you need in North Carolina.